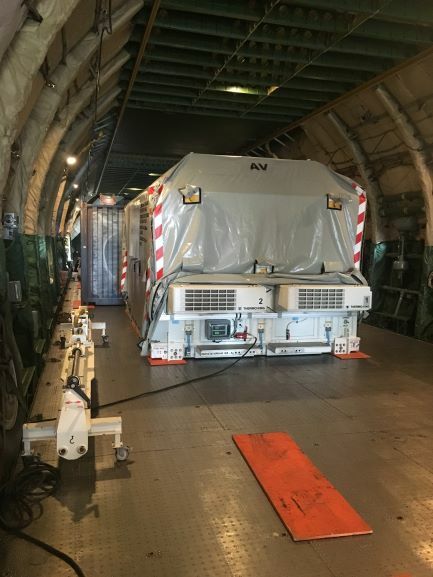 Volga-Dnepr’s specialists organized the most effective transportation with a direct charter flight ensuring a timely delivery as well as ensuring all six satellites were shipped with the upmost care to South America. On arrival in French Guiana, OneWeb’s sophisticated equipment was delivered to its final point of destination in Kourou, with the first satellite launch scheduled for the middle of February. The satellites will operate in near-polar, 1,200km LEO orbit.